Giclees are high quality reproductions produced on fine art papers.Using state-of-the art technology including pigmented inks, this reproduction is faithful to the original, water resistant and will resist fading due to UV rays, from either natural sunlight or artificial sources. 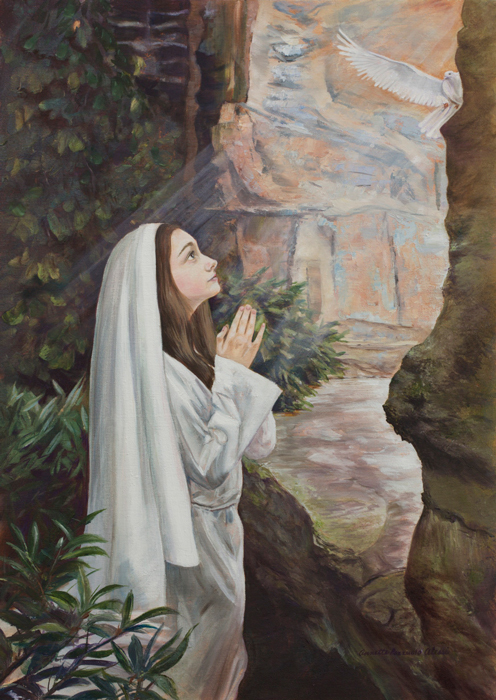 Read The Story of the Creation of the oil painting”The Annunciation” , by Annette Pozzuolo-Alessi. A portion of the proceeds from each print sale will be donated to organizations whose focus is saving children’s lives. 10" x 14", 19" x 27"